From stone tools to robotic arms, humans have been designing with the user in mind to better serve our changing needs since year one; this practice just didn’t have a name to it yet. User experience (UX) design has evolved into a necessary discipline over the past few years, the only difference today is the focus has moved from manual to digital. 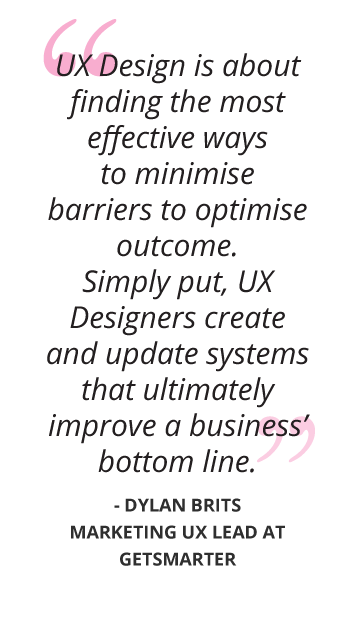 UX design can be defined as the deliberate process of creating or enhancing systems and products to achieve a specific objective, namely, to optimise a user’s experience of said systems and products. Good UX design involves enhancing user satisfaction with a product by improving the experience behind the interaction with the product. Simply put, if an object is not easy to use, and doesn’t make achieving its purpose simple and intuitive, users will struggle or fail entirely, to perform even the most basic tasks. 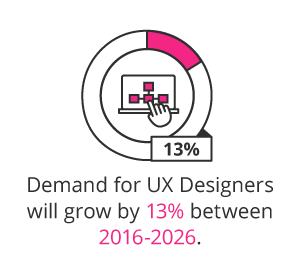 Demand for UX Designers will grow by 13% between 2016-2026.1 A UX Designer considers the why, what, and how of product use. Companies whose operations are conducted largely through the web, and that require complex applications, need an expert in UX Design. What are the key responsibilities of a UX Designer? UX Designers have to be agile in order to perform multiple tasks. What is the career path of a UX Designer? Designs websites, apps and other software elements. Designs websites. Works primarily for web-based businesses. Works for any business. Informed by thorough research. Informed by client. Designs websites, apps and other software elements. Works primarily for web-based businesses. Advanced knowledge of complex information architecture. What is the potential salary for a UX Designer? What are the education and training requirements for a UX Designer? 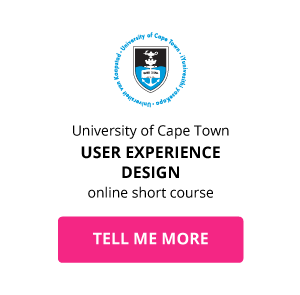 UX design is a technical field, requiring you to be well-equipped with the skills necessary to execute key responsibilities such as conducting research, developing user personas, and making design changes to a user interface. 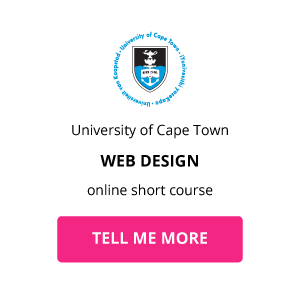 Acquire relevant skills and qualification: While many UX Designers may not have a formal qualification in UX design, many have qualifications in related fields such as web design. Get relevant work experience: Most UX Designers start their career in adjacent fields like graphic design and web design and then move into UX design by mastering software programs such as Balsamiq and learning industry-grade frameworks, vocabulary, tools, and best practices. Take online short courses: The digital space is incredibly dynamic. 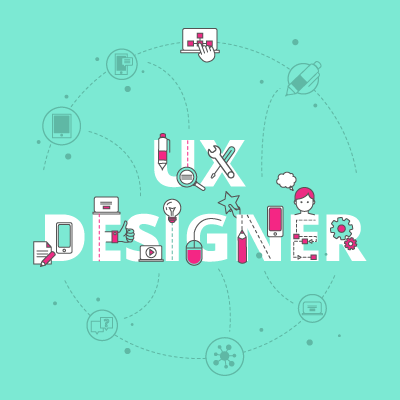 A UX Designer is dependent on understanding changing trends and technologies in this space. The most effective UX Designer is one who continues to stay ahead of the curve. One surefire way of ensuring you stay relevant in UX design is to commit yourself to lifelong learning. What skills do you need to advance your career in user experience design? Download a course prospectus to find out how one of these online short courses can help you enter this lucrative industry.